Oklahoma City Thunder assistant coach Mark Bryant was walking alongside the basketball court at the team’s practice facility when he passed a legendary face from the jazz world oddly hanging out. Bryant turned around on this September day to enthusiastically introduce himself to Branford Marsalis. The three-time Grammy Award-winning saxophonist was there to talk about the connection between jazz and basketball with Thunder general manager Sam Presti and head coach Billy Donovan. “When I talk to people who are in a discipline outside of my discipline, talking to them kind of affirms to me what I know to already be true,” Marsalis said during a phone interview from Warsaw, Poland, after a recent performance. “That was that situation. Billy had a ton of questions. They know what they are doing. I really didn’t have a lot of questions. I just watched. But there was stuff I learned about the building, the organization and ownership being hands off. Just things that really matter. Presti is a longtime jazz fan, while Donovan says he is not familiar with the genre of music. Both, however, have huge respect for superstar brothers Branford and Wynton Marsalis, who have combined to win 12 Grammys. Presti said that “nonbasketball learning” is important to the Thunder organization. Presti and Donovan sat with Branford Marsalis hours before he performed with his quartet at the University of Central Oklahoma’s Mitchell Hall Theatre on Sept. 8. Donovan also had a long conversation with Wynton Marsalis this summer. The reason? To pick the jazz legends’ minds about teamwork and philosophy in a jazz band as it relates to basketball. “When I met Branford in person and talked to Wynton on the phone, I was blown away on their mentality in terms of sport, music and society and just how much it’s about making the people around you better,” Donovan said. “In team sports, it’s not necessarily about, ‘Hey, I want to play my music.’ Sometimes you have to listen to other people’s music and how to make the group better by listening. I thought their messaging, background and being basketball fans and sports fans, both were incredible. Presti said he became a fan of jazz as a kid growing up in Boston when he took drum lessons. He was hooked on jazz after his music teacher gave him the album Miles Smiles from legendary trumpeter Miles Davis. Presti eventually became a huge fan of the Marsalis family’s influence on jazz, most notably Branford. “He has been so well-known for so long because of how early he started,” Presti said. “All the different genres he has played within, The [Jazz] Messengers [group] to obviously working with Sting to his solo work. He’s touched so many different facets. From a production standpoint, he’s just been involved in so much music. It’s hard not to collide with something he has not touched. Branford Marsalis is a huge sports fan who lives and dies with his hometown New Orleans Saints and is optimistic about the New Orleans Pelicans. The former musical director for The Tonight Show with Jay Leno and Sting was introduced to Presti by a mutual friend after hearing that Presti was a big fan. The two kept in touch, and Branford Marsalis even sent music. Branford Marsalis texted Presti to let him know he was going to be in Oklahoma City on Sept. 8 to teach a master’s class on music at a local college and to perform a concert. Branford Marsalis next accepted an invitation to hang out with Presti and Donovan at the Thunder’s training facility. The three men, along with other Thunder staff members, sat for about three hours talking jazz and basketball and how the two intertwine. Presti said he learned a lot from Branford Marsalis about how he challenges himself to continually improve as an artist even at his level, how he still learns from the jazz greats, the struggle of jazz artists and what some of the jazz greats were like as musicians and people. “Music and sports are such a metaphor for so many things in the world,” Presti said. “They both involve having to listen and react and interpret different things. For the conversation in general, I asked him, ‘How do you continue to grow and learn? How do you know what is quality? How do you find that?’ And obviously, the art form itself with Branford and his craft, so much of it is about listening and really hearing what the other people are doing. It’s really fascinating to listen to him talk about that as well as his preparation and the way he has taken his career path. It was a pretty wide-ranging conversation, to be honest. It was interesting to hear him speak about that stuff. Branford Marsalis said Donovan and Presti asked him a “pile of questions” on alternative types of leadership. Branford Marsalis explained that jazz and basketball were similar since “very few people can do this s— on a very high level.” He also told Donovan and Presti that the evaluation of jazz artists should be the same as NBA free agents by looking beyond the statistics. Donovan also asked Branford Marsalis about finding personnel, adapting to playing in different venues, and more. “I talked to [Donovan] about the parallels between music and sports in a way that he would have never thought about it because he’s never played music,” Branford Marsalis said. “For better or for worse, a lot of us have played sports. In a jazz band, it’s very similar to basketball because you can have musicians who can really play their instrument really well. But they don’t have an understanding of what their function is to make the group succeed. Branford Marsalis also was impressed by the Thunder’s development of players while watching some work on their game and play pickup ball during his time at the practice facility in the NBA offseason. Presti and several staff members went on to attend Branford Marsalis’ concert later that night. While at the concert, Presti picked up more insight on the connection between jazz and basketball. “It’s not every day that someone like that comes through town,” Presti said. “They were playing in what he felt was a really great acoustic venue. It was a really old auditorium locally. That was pretty cool that he really liked the environment. He also talked about the dynamics of the group. There was a new bass player that evening because someone had a travel issue or maybe was sick. They called a guy in from out of the country. Just watching the interplay, none of us would have picked up on the fact that this was someone relatively new for the evening that may spend a few weeks with him. Donovan was honored to get time with Wynton Marsalis, who is the most decorated jazz legend living today. The New Orleans native is the only artist to win Grammys for jazz and classical records. Time magazine celebrated Wynton Marsalis as one of America’s 25 most influential people in 1996. The first jazz musician to win the Pulitzer Prize for music has sold approximately 7 million copies of his recordings worldwide, has toured every continent except Antarctica and received the National Medal of Arts from President George W. Bush in 2005. Wynton Marsalis also created a series of “I Love This Game” commercials for the NBA during the 1998 NBA season and appeared in the public service announcements for the NBA’s Team Up program. 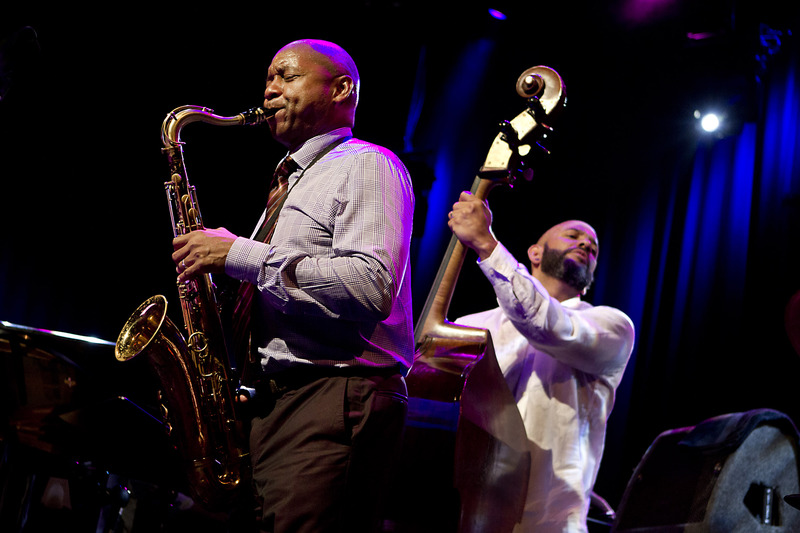 “Wynton used to always say that jazz is like a fast break,” Branford Marsalis said. Donovan became “fascinated” with Wynton Marsalis after watching an interview of him talking about jazz having a connection to basketball. Donovan, part of that new audience, would later have a phone conversation with Wynton Marsalis about the book. “It was a really incredible book,” Donovan said. “You have a 50-team piece band. Everybody wants to be soloing. Everybody wants to be out in front. But sometimes the most important guy is the drummer because he is keeping everyone in rhythm and he is the guy in the background. You have to be OK with that egowise. And it was just how you make the group better. The biggest thing he talked about as a musician is you have to be willing to listen. 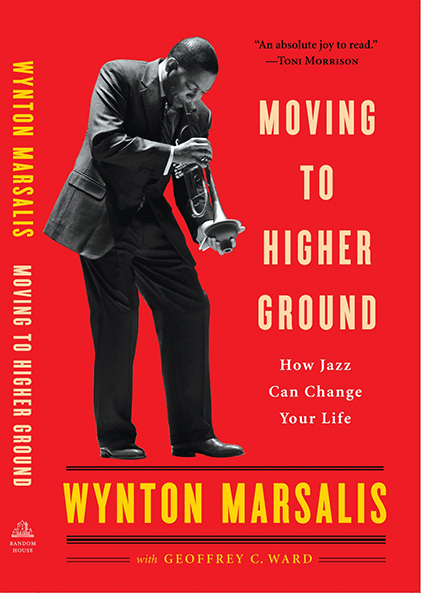 Donovan yearned to speak with Wynton Marsalis after hearing the interview and reading the book. One of the Thunder security guards was able to make it happen in early October thanks to a connection to Wynton Marsalis. Donovan said he sent notes on Wynton Marsalis’ book to him before the phone call. “We talked for about an hour on the phone,” Donovan said. “We talked about life, jazz bands and what he goes into performing, and every show being completely different. Every game is completely different. Every team is different. And I hope that they can both speak to our team, because it was really powerful. Wynton Marsalis said a key to teamwork in a great band is finding members who believe in “the value of group expression and buy into the philosophy and practices of our group.” He said he evaluates talent by assessing “spiritual depth” at first before assessing desire, knowledge, intelligence, humility, charisma, execution under pressure and collegiality. When all those attributes are combined, Wynton Marsalis believes, a team can be great whether on the stage or the hardwood.